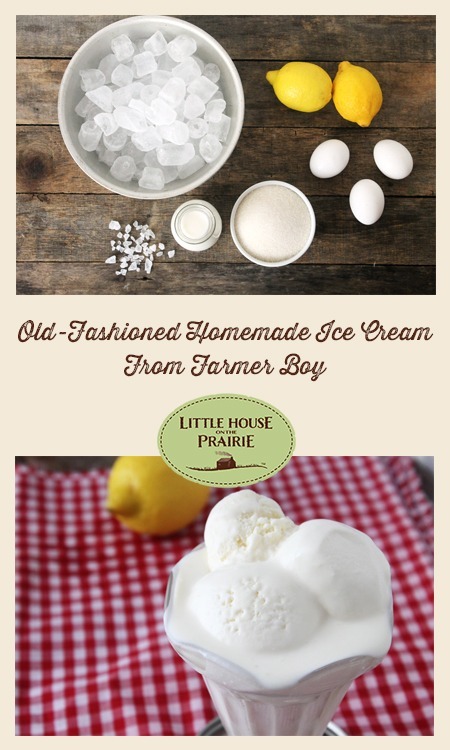 If you’ve ever made ice cream by hand, then you know how much of a delicacy ice cream must have been when Laura and Almanzo were growing up. The hand-churning, the hand-whipping—it’s a lot of work! A true sign of love and hospitality, something we love about the Ingalls Family. But I think you’ll find this modern adaptation less tiring and definitely worth the effort. Since my arms aren’t as strong as Ma’s must have been, I used my stand mixer to whip the egg whites and heavy cream. If you’ve ever tried making meringue by hand, you understand why it’s almost impossible to whip the egg whites without some type of mixer. Another option to consider, which also makes a great gift, is an old-fashioned ice cream maker. Let us know if you try it out! 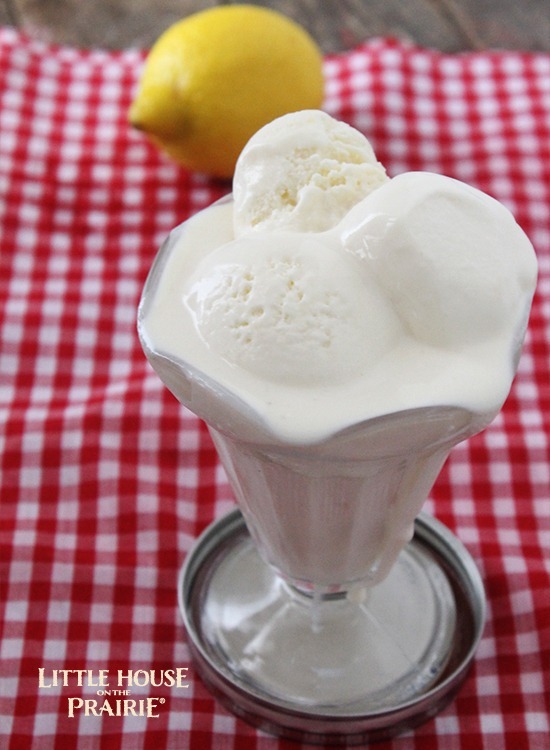 Most classic ice cream recipes will tell you to flavor your ice cream with vanilla extract, but did you know that in Laura’s time, the most popular flavor would have been lemon because vanilla extract wasn’t widely available or locally grown? It’s true! This is one reason why the party drink recipe at Nellie’s party was a delicious lemonade! You haven’t lived until you’ve tasted handmade ice cream flavored with freshly squeezed lemons. 1. Separate the eggs into two small bowls, yolks in one and whites in the second. Beat the yolks for about a minute, until lighter in color and smooth. 2. 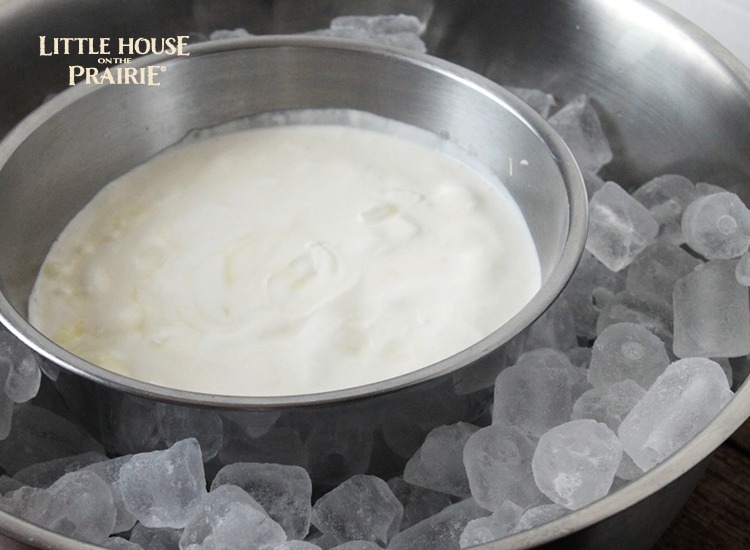 Pour the milk into a small saucepan and turn the heat up to medium high and heat until simmering. Make sure not to scald the milk. 3. Add in the sugar and stir until dissolved, about 1 ½ minutes. Reduce the heat to medium low. Add in the egg yolks and stir until the custard thickens enough to coat your wooden spoon with a milky film. 4. Pour the custard into a jar and place in the fridge for later use. 5. 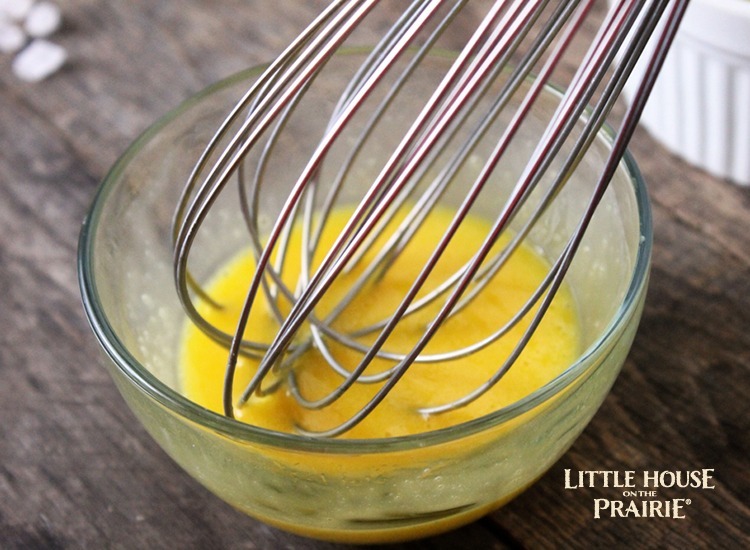 In the bowl of a stand mixer or of a hand mixer, beat the egg whites until some stiff peaks form. Pour in 1 cup of heavy cream and beat for an additional 2-3 minutes. Add the remaining cream and stir gently. Place the bowl in the refrigerator for 10 minutes. Squeeze lemons and strain juice to add in later. 7. Pour the custard into the bowl with the whipped egg mixture. Place the bowl in the ice and pile ice up on the sides. 8. Stir for 5-10 minutes and cover with a dish towel. Let sit for 10 minutes, then repeat scraping and stirring; repeat this process 3-4 times, or until ice cream reaches soft-serve consistency. Add in the lemon juice. 9. Continue stirring and resting until the ice cream is too stiff to move. This will take about an hour. Let the ice cream sit undisturbed for 30 minutes. 10. To serve, scoop into bowls and top with desired toppings. 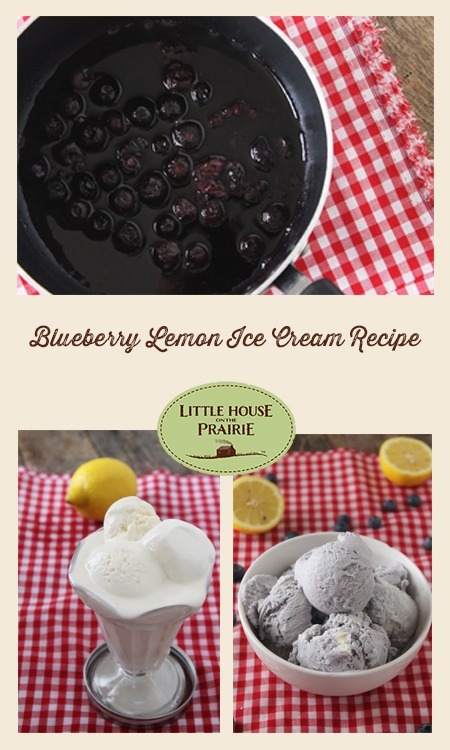 For a modern twist on the recipe, what would be better than blueberry lemon flavored ice cream! 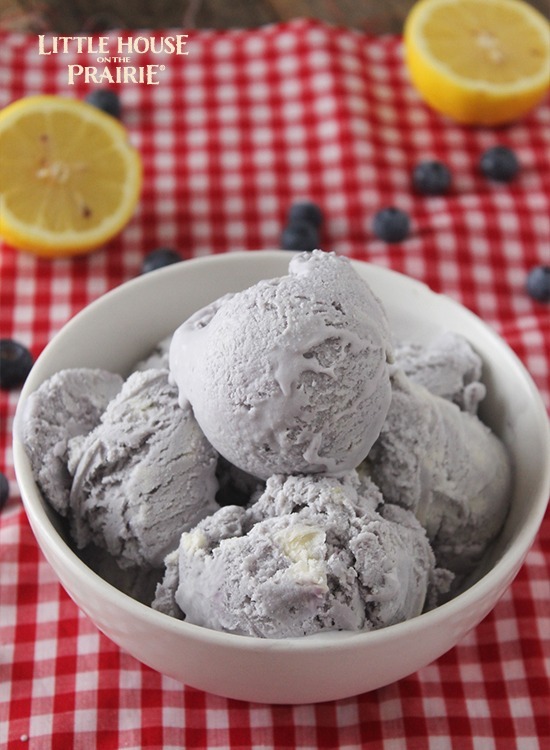 Bold blueberry mixed with tangy lemon and creamy ice cream is a flavor combo to be reckoned with. Blueberries were a common topping for cakes and desserts as well. 1. Separate the eggs into two small bowls, whites in one and yolks in another. Beat the yolks for about a minute, until lighter in color and smooth. 5. 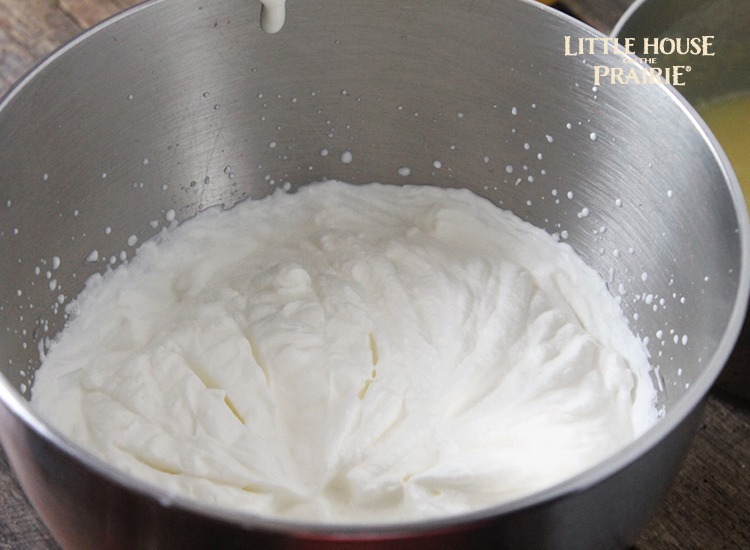 In the bowl of a stand mixer or using a hand mixer, beat the egg whites until some stiff peaks form. Pour in 1 cup of heavy cream and beat for an additional 2-3 minutes. Add the remaining cream and stir gently. Place the bowl in the refrigerator for 10 minutes. Squeeze lemons and strain juice to add in later. 6. In a small saucepan over medium high heat, combine the blueberries, remaining sugar, and water. Simmer until sauce thickens and blueberries become soft and mashable. Drain the blueberry syrup into a jar and let cool. 7. Fill a very large wide-mouthed bowl about halfway with ice. 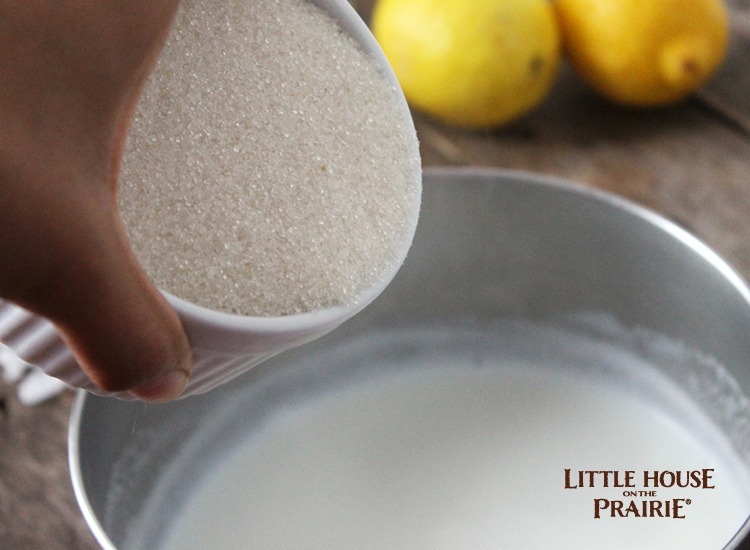 Sprinkle on the salt and create a well in the center of the bowl. Take the custard and whipped egg mixture out of the fridge. 8. Pour the custard into the bowl with the whipped egg mixture. Place the bowl in the ice and pile ice up on the sides. 9. Stir for 5-10 minutes and cover with a dish towel. Let sit for 10 minutes, then repeat scraping and stirring; repeat this process 3-4 times, or until ice cream reaches soft-serve consistency. Add in the lemon juice and blueberry syrup. 10. Continue stirring and resting until the ice cream is too stiff to move. This will take about an hour. Let the ice cream sit undisturbed for 30 minutes. 11. To serve, scoop into bowls and top with desired toppings. 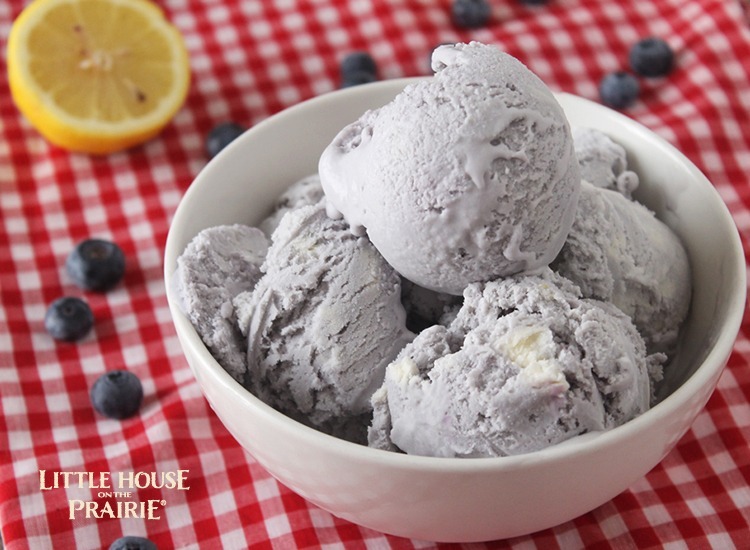 Did you know that summer was the traditional time to make ice cream? It could only be made by people lucky enough to have ice as well as plenty of cream like the Wilders. When young Almanzo made ice cream, there were no power-driven refrigerators or churns available. They had to work hard for their sweets and use fresh ingredients. For more fun food facts like these, check out The Little House Cookbook. Remember to subscribe to our newsletter for the latest recipes and other fun ideas. 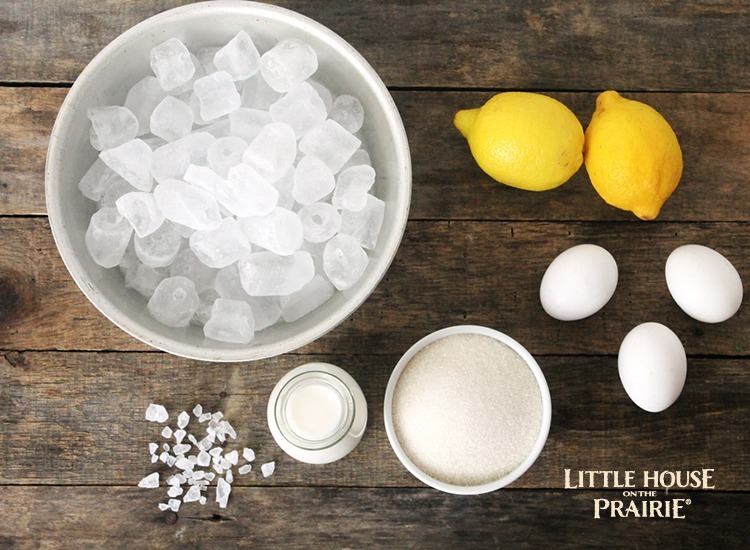 The author drew ideas and inspiration from The Little House Cookbook: Frontier Foods from Laura Ingalls Wilder’s Classic Stories by Barbara M. Walker (New York: Harper & Row, 1979). You can read a review of this wonderful resource by clicking here. 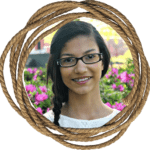 Writer of the food blog, Natural Chow, Margaret Anne is a green-thumbed Christian striving to live a healthy lifestyle and teach others about eating and living naturally. She understands the importance of inexpensive meals, family time, health, having fun, and making foods that are good for your body. See her contributions to Little House on the Prairie below. I ‘m watching the all of them now they are all so good! Looks Good! I’ve read all the Books! and watching the Movies! Has anyone tried the recipe with a modern ice cream maker? I know the purpose is to have the ingredients and method from scratch, but I just wanted to know if anyone tried it in an ice cream maker. I love Little House On The Prairie ! My husband says that is all that you ever watch . I say thats all that is worth watching . I also have read all the books over and over again . I love everything about the Little House On The Paririe . Would like to see the homestead and museum someday . Whatever happened to baby Grace! I loved that show! Thanks for informing us where they are. so yumyyyyyyyyyyy I loved it! !